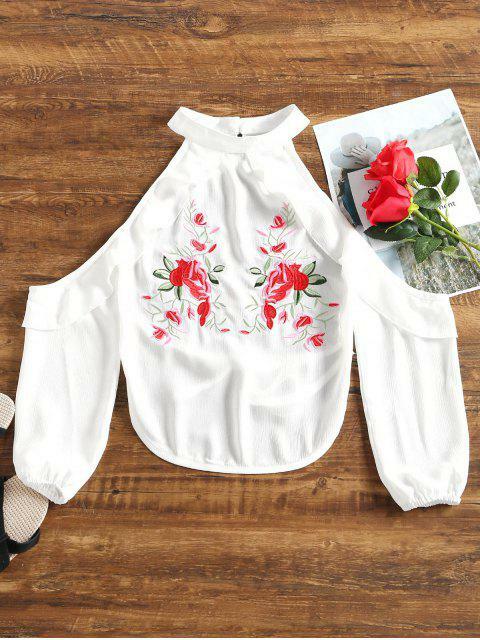 [47% OFF] 2019 Floral Patched Ruffle Hem Backless Blouse In WHITE | ZAFUL ..
Love it, except it came with what looks like coffee dripped on it. 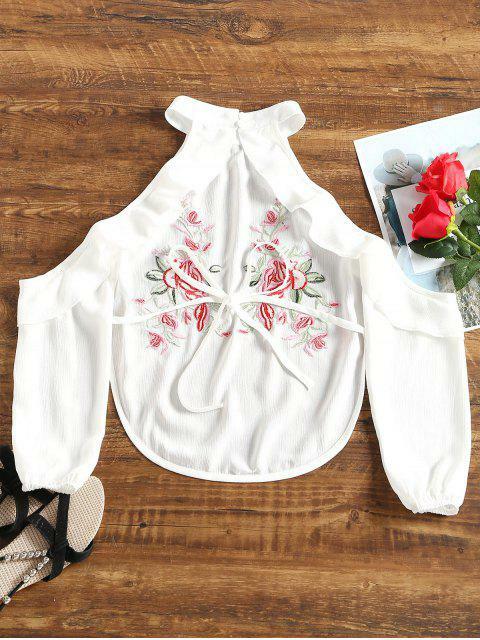 This trendy blouse with a classic round collarline features a delicate floral embroidered patchwork design at the center front, pretty ruffle trim detail, and a charming open shoulder design, as well as an alluring backless detailing with self-tie bowknot at back. 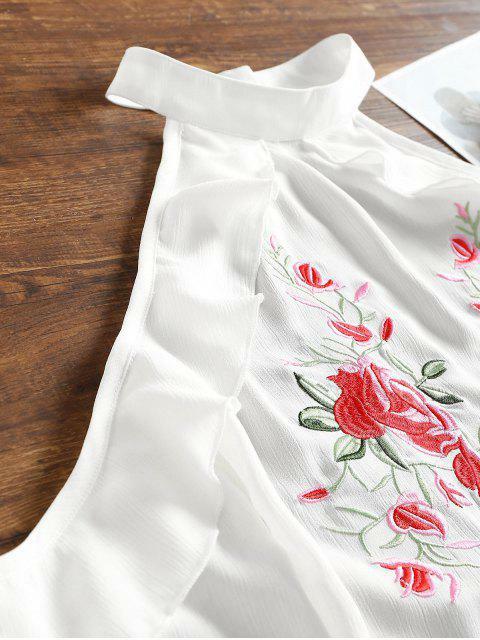 Match it with denim shorts for a charming look.